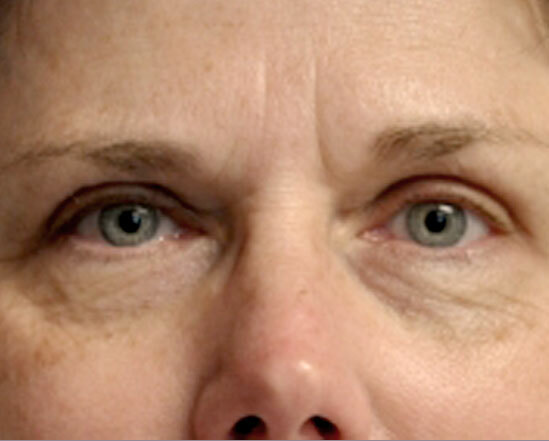 For many patients, excess skin develops on both the upper and lower eyelids over time. Others may comment that they appear “tired.” A blepharoplasty is a procedure designed to correct the signs of aging associated with the area surrounding our eyes, restoring a more youthful appearance. This procedure may be performed on the upper eyelids only, the lower eyelids only, or on both the upper and lower eyelids. For the upper eyelids, this procedure may be performed in the office, without the need for general anesthesia. This procedure involves removing the excess skin of the upper eyelids. The incisions are hidden within natural creases of the upper eyelids to minimize scaring. Sutures will be placed during the procedure and are removed within five to seven days. Makeup may be applied after this time. Mild swelling and bruising of the eyelids will be present following the procedure, resolving within one to two weeks. For patients who desire correction of the lower eyelids or both the upper and lower eyelid simultaneously, this is performed as an outpatient procedure under anesthesia. 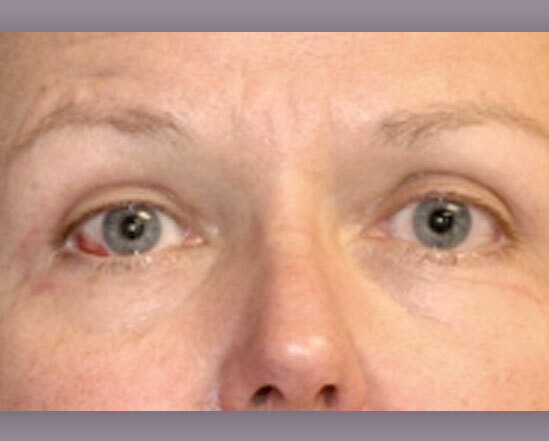 A lower eyelid blepharoplasty is more extensive in contrast to the upper eyelids, as fatty deposits of the lower eyelid may need to be removed to help reduce the baggy appearance. All sutures are removed within a week. Bruising, along with mild swelling, is typically seen following the surgery. These resolve within a couple weeks. Complications, although rare, can occur. Dr. Mitchell will explain these in detail during your consultation. Contact us today or call at 402-483-8530 to schedule a consultation with Dr. Mitchell. In September 2008 I was diagnosed with breast cancer for the second time in my life. Because of treatment I had received 23 years prior, I chose to undergo a double mastectomy with reconstruction. I did some research and visited a couple of surgeons in Lincoln; I actually made an appointment for surgery with one of them. I was also referred to Dr. Cassidy Mitchell. After speaking to him on the phone and meeting with him, I chose to change doctors and have Dr. Mitchell help me with this challenge. Dr. Mitchell was new to Lincoln then, but I felt very confident about how he was approaching my surgery and about his compassion towards me as a woman and patient facing a very difficult surgery. I have never regretted that decision. I am very happy with the results, but most of all, Dr. Mitchell approached the choices, surgery, recovery and reconstruction in a way that made me feel comforted, confident and as though I was in charge. That was important to me at a time when women often feel like their lives have gone completely out of control. I highly recommend him as a surgeon. His work is impeccable. I also have to say my general surgeon, Dr. Carolyn Cody, and the nursing staff at Bryan West Campus was also incredibly supportive. What a team. I am blessed. I’m cancer free, making music with my husband, and moving on with life. Thanks to all of you at Bryan. Thanks, Dr. Mitchell for helping me, for sharing your talent, and treating me with kindness. I’ll never forget it.